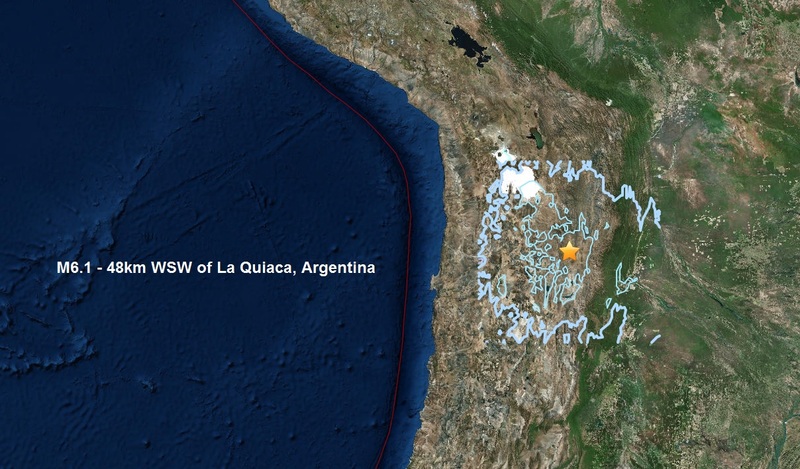 A magnitude 6.1 - 48km WSW of La Quiaca, Argentina is the second major quake of August. Structure Information Summary Overall, the population in this region resides in structures that are vulnerable to earthquake shaking, though some resistant structures exist. 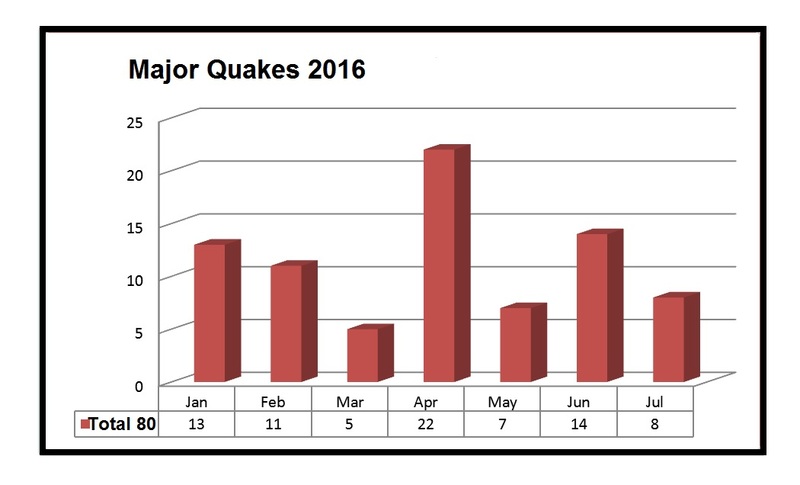 It is the 81st quake of 2016! 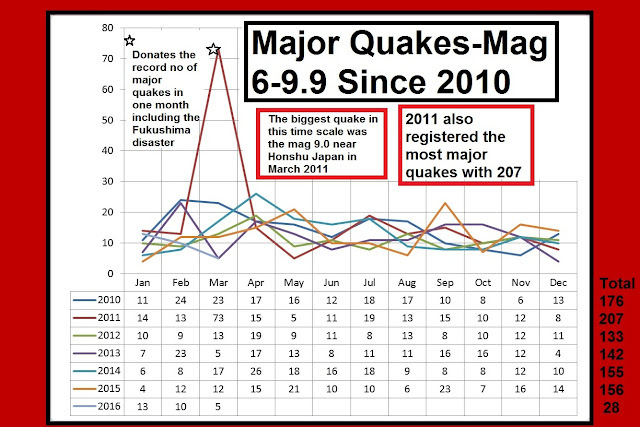 I receive many comments on The Big Wobble claiming major quakes are on the rise. 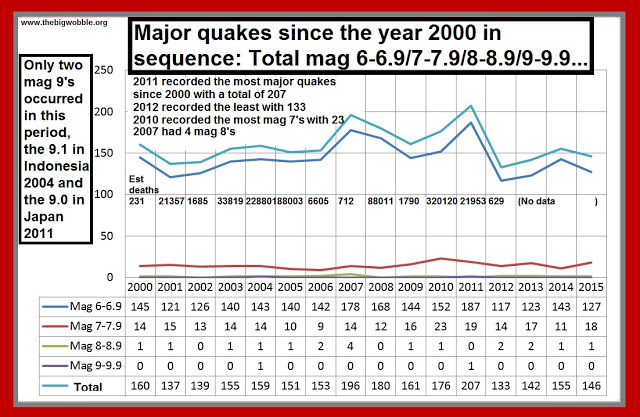 Since the year 2000 major quakes have remained quite consistent in numbers. The biggest quake to rock the earth was a mag 9.1 off the west coast of northern Sumatra, Indonesia. This was the third largest earthquake in the world since 1900 and is the largest since the 1964 Prince William Sound, Alaska earthquake. In total, 227,898 people were killed or were missing and presumed dead and about 1.7 million people were displaced by the earthquake and subsequent tsunami in 14 countries in South Asia and East Africa. 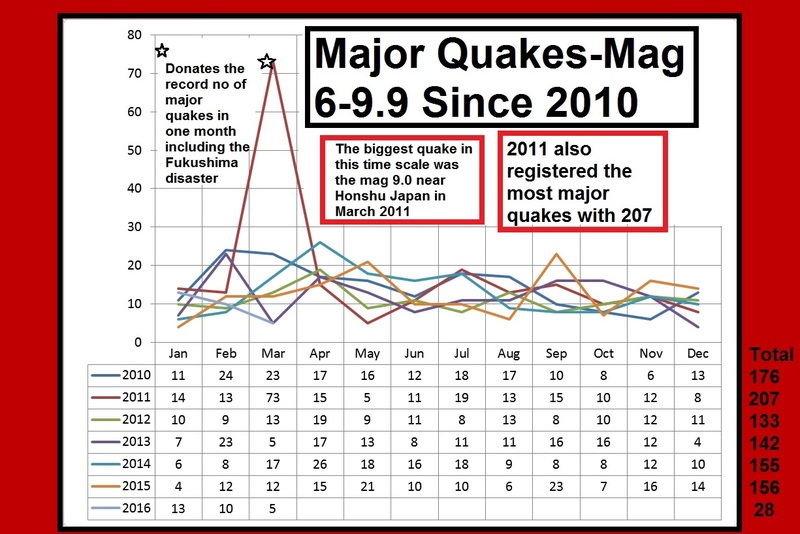 The only other mag 9.0 earthquake in this time period was the 2011 quake near the east coast of Honshu, Japan. At least 15,703 people killed, 4,647 missing, 5,314 injured, 130,927 displaced and at least 332,395 buildings, 2,126 roads, 56 bridges and 26 railways destroyed or damaged by the earthquake and tsunami along the entire east coast of Honshu from Chiba to Aomori. The majority of casualties and damage occurred in Iwate, Miyagi and Fukushima from a Pacific-wide tsunami with a maximum runup height of 37.88 m at Miyako. The total economic loss in Japan was estimated at 309 billion US dollars. Electricity, gas and water supplies, telecommunications and railway service disrupted and several reactors severely damaged at a nuclear power plant near Okuma. Several fires occurred in Chiba and Miyagi. At least 1,800 houses destroyed when a dam failed in Fukushima. The Fukushima nuclear plant is still trying to stop nuclear material leaking into the sea and atmosphere five years after the disaster.